The trucking industry is constantly bombarded with electrical challenges, both within individual fleets and industry-wide. 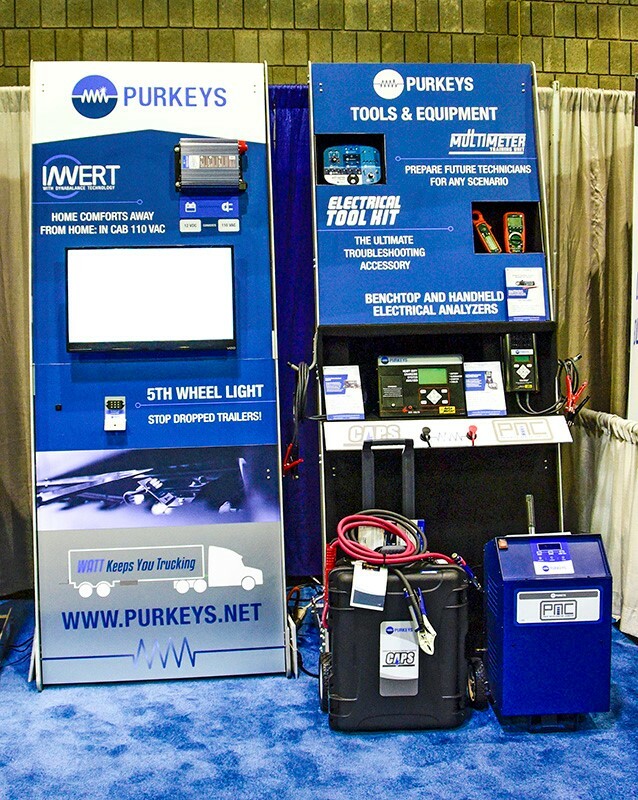 Purkeys recognizes the increasing and changing electrical demands placed on fleets and equipment. 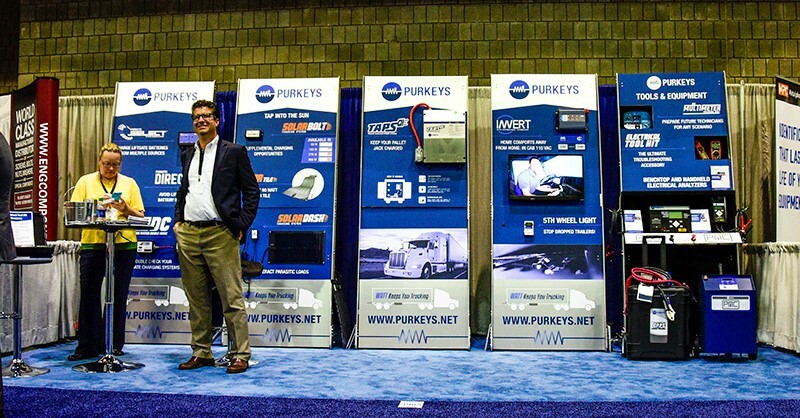 Purkeys not only identifies electrical problems, we also combine our experience and long-term involvement with trade organizations so that fleets and manufacturers can depend on us as a reliable resource for electrical solutions. 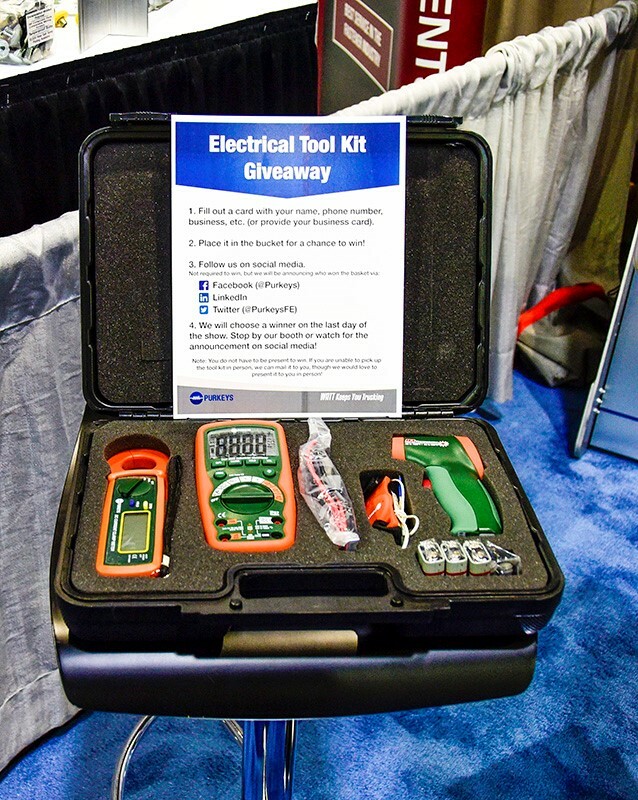 Stop by our booth to enter to win a free Electrical Tool Kit that includes a multimeter, wide-range mini IR thermometer, bead wire type K temperature probe, mini DC clip-on ammeter, general purpose test leads, and a convenient carrying case and batteries.